Ground water nhas been contaminated due to industrialisation. Up to 100 feet of ground water is contaminated and not suitable for drinking purposes. This has resulted in the community depending on shallow hand pumps for drinking water, which was affecting their health. Farmers had small and scattered land holdings which was impacting their profitability and there was the problem of drug addiction in the community. Health issues were prevalent among women and children and there was a shortage of medical staff in CHC/PHC/sub centre. Girls usually dropped out of school to help their parents with household work. Health remains one of the key areas of intervention in Roorkee, with the focus on maternal and child health. In fact, ACF was selected as the District ASHA Resource Centre (DARC) and was provided the responsibility of imparting training on different modules to ASHAs and ASHA facilitators of the entire Haridwar district. DARC has been envisaged under NRHM to strengthen the ASHA scheme at micro level. ACF has provided technical input and strong support mechanism to the program so that expected results can be achieved. DARC has to act as a mentor for supporting ASHA activities in the district. Immunisation coverage of mothers and children under two years improved from 40% to more than 75%. AAmbuja Cement Foundation established SEDI in 2010-11. The idea behind starting SEDI was to raise the potential of rural youths as skilled persons instead of just working as labourers or helpers in different industries, and to train the candidates in the skills which suits their interests. Our institute imparts training in trades like welding, electrician, fitters, computer hardware and software, mobile repairing, hotel management, driving, railoring and beauticians. Graduates are being placed in good jobs in the surrounding Bhagwanpur Industrial area where many industries are located. ACF has facilitated the formation of self-help groups which have also been federated. 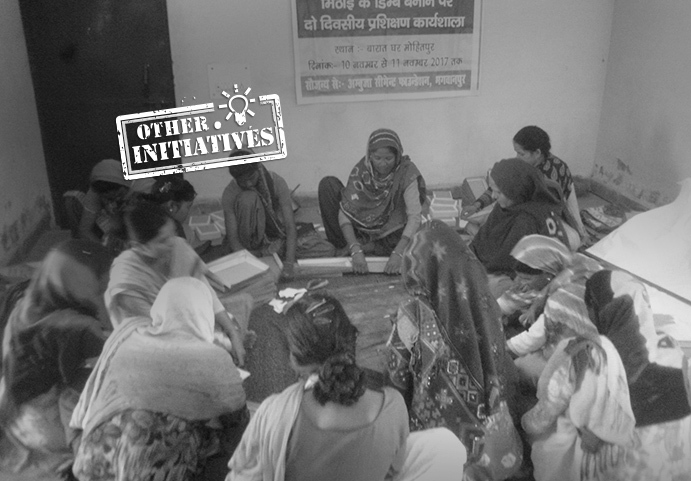 Women are given training on micro-credit and income generation activities and are linked with local banks. Federation members are availing loans and developing a credit rotation plan among group members. Focus group discussions were also organised for them to build capacity in reporting and documentation, to create bank linkages, and discuss income generation activities. Deep hand pumps were installed to provide drinking water to the community and awareness was created among the community for the use of drinking water from deep hand pumps or bore wells. 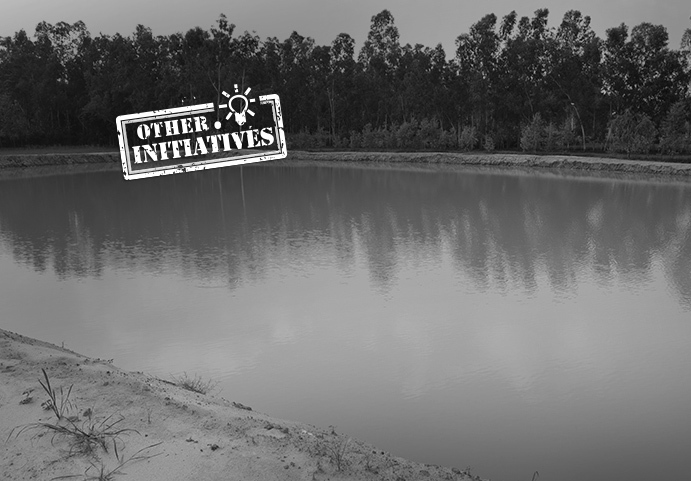 Additionally, ACF helped with the harvesting of water by developing check dams in collaboration with the community and building percolation ponds for recharging of ground water. In relation to water conservation and management, our focus was on promoting of field bundings, sprinkler irrigation systems and irrigation channels to replace the traditional irrigation techniques. ACF has been working closely with farmers, training them on how to reduce inputs and increasing increase the soil health and while increasing yields. Farmers were given the opportunity to interact with scientists and learn about modern techniques of crop management. ACF, along with National Bank for Agriculture and Rural Development (NABARD), formed 19 farmers’ clubs in the villages. In order to bring about a holistic approach to farm management, animal husbandry and allied programs are undertaken side by side with agriculture. Unproductive cattle were identified and essential treatment was given to them for making them productive. 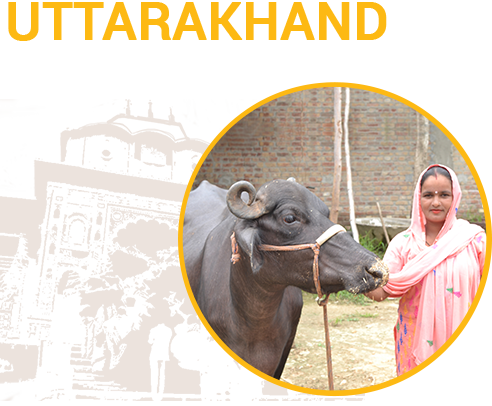 Vaccination camps are organised with the support of the Animal Husbandry Department from time to time.